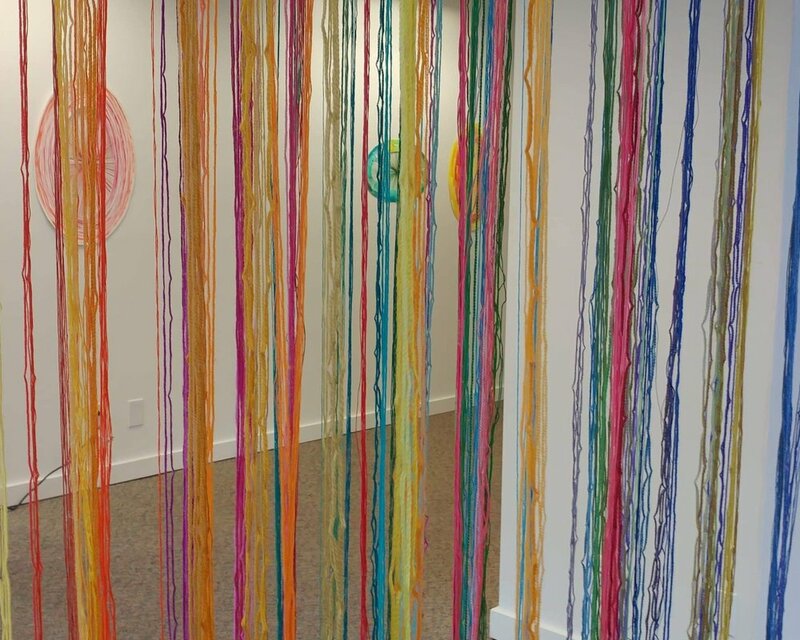 Encompass was a site specific collaboration with Nicholas Nyland at the 950 Gallery in Tacoma. Our collaboration was grounded in a mutual appreciation of the encompassing, expansive potential of abstraction. By giving the architecture and fixtures an active role in the artwork, we engaged in a multi-faceted collaborative process, playfully riffing off the gallery’s space, our personal practices and modernist traditions such as minimalism, Constructivism, and the Light and Space movement. Color and light activated the space, illuminating often overlooked details that infuse architectural spaces with character. 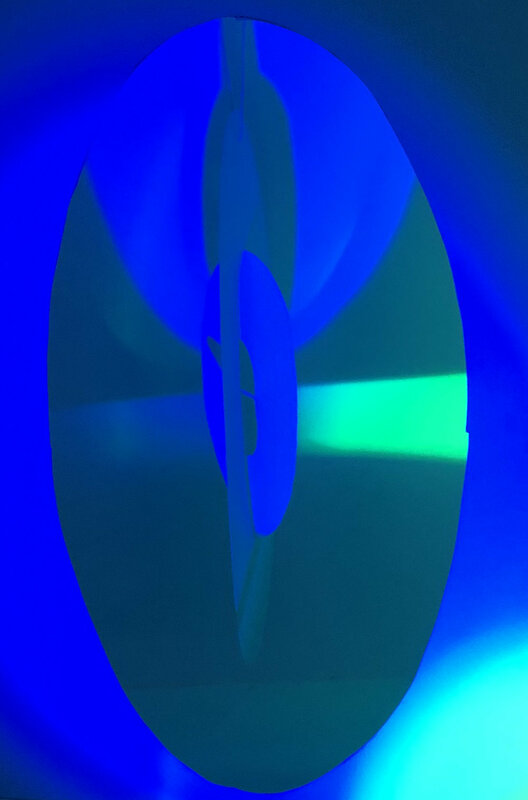 The installations also embodied the mutable, context based nature of color, directly interacting with the gallery’s lighting as it shifts throughout the day.